The enzyme Dicer processes dsRNA molecules into shorter dsRNA fragments, typically 21–23 bp in length, termed siRNA. 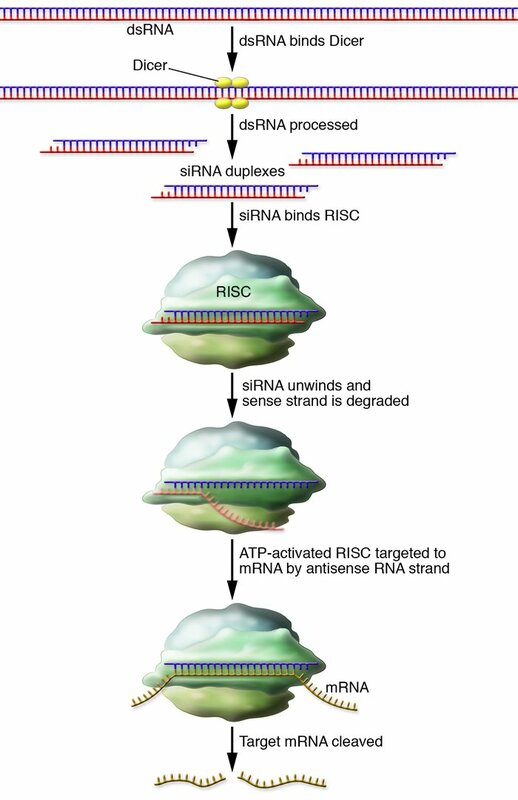 The siRNA duplexes are incorporated into the RISC, where the sense strand is degraded, leaving the antisense “guide” strand free to hybridize with its complementary sequence in the mRNA. This initiates mRNA strand cleavage by an enzyme native to RISC.